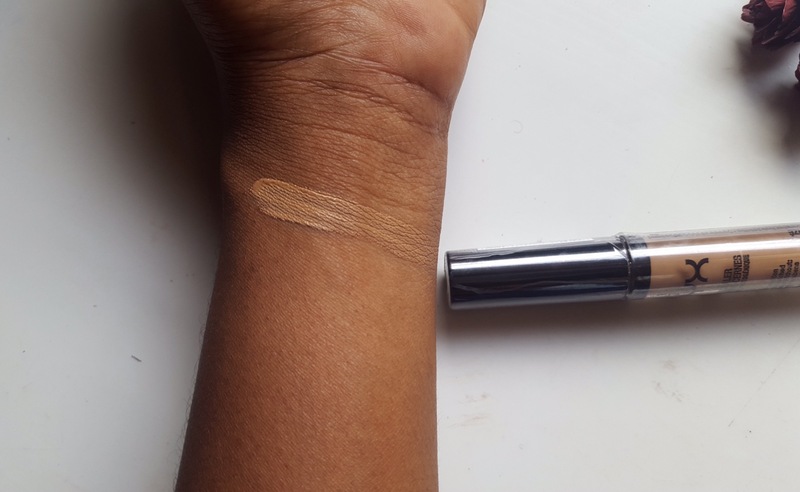 Today’s post is a review of the NYX HD Photogenic concealer. I bought this concealer because I was running low on my LA Girl PRO HD concealer, and I wanted to try out another brand of concealer. I got this in the shade “Tan”. This concealer comes in a slim tube with a black cap. The cap has a wand(a doe foot applicator, like that of a lipgloss). This makes it easy to apply to the smallest areas of the face(but it isn’t the most hygienic applicator). Still, I like it a lot. The concealer has a liquid consistency and medium coverage, which is buildable making it good for concealing/covering blemishes. 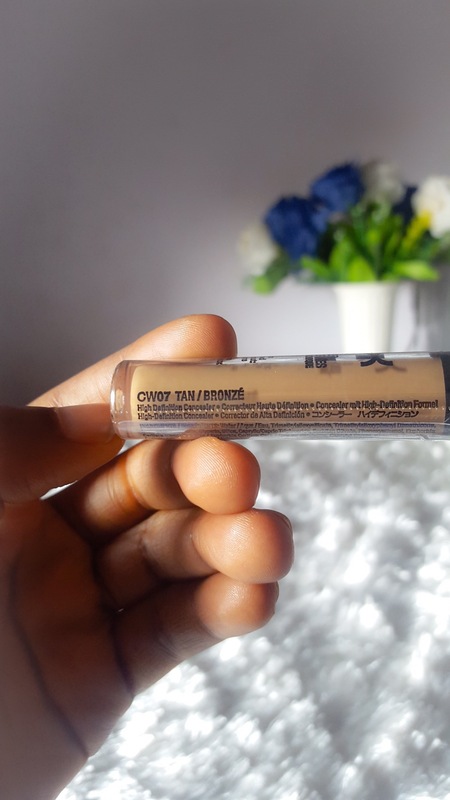 It also dries demi-matte, which I absolutely love because concealers that dry very matte tend to crease or settle into fine lines. Another thing I like is that it does not look cakey; even when you layer it on. It also does not move or budge as the day progresses. When I got it, I was worried about the shade range because the shade I got wasn’t light enough for highlighting. I checked the site and found out they recently released 12 new shades to the former 11 shades; making a total of 23 shades. So, there’s something for everyone. This concealer is also talc, paraben and cruelty-free. 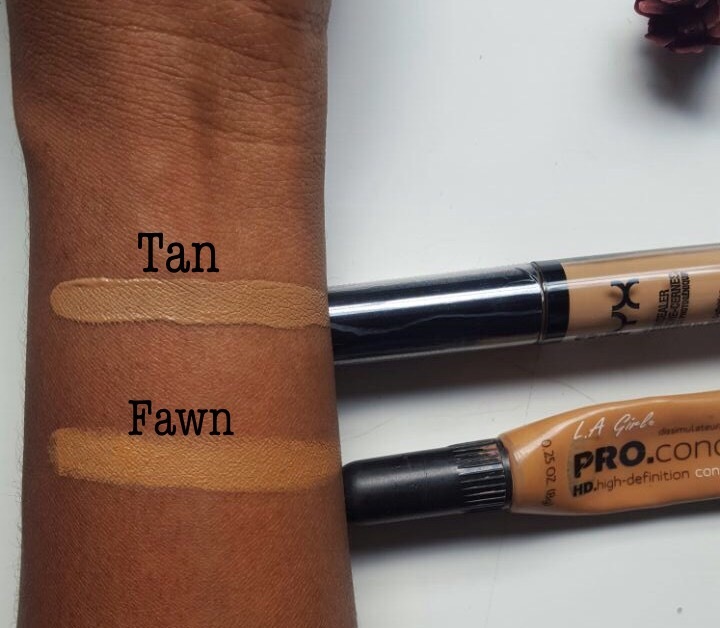 I compared this shade to other complexion products I have(including LA Girl concealer in Fawn) for reference purposes. 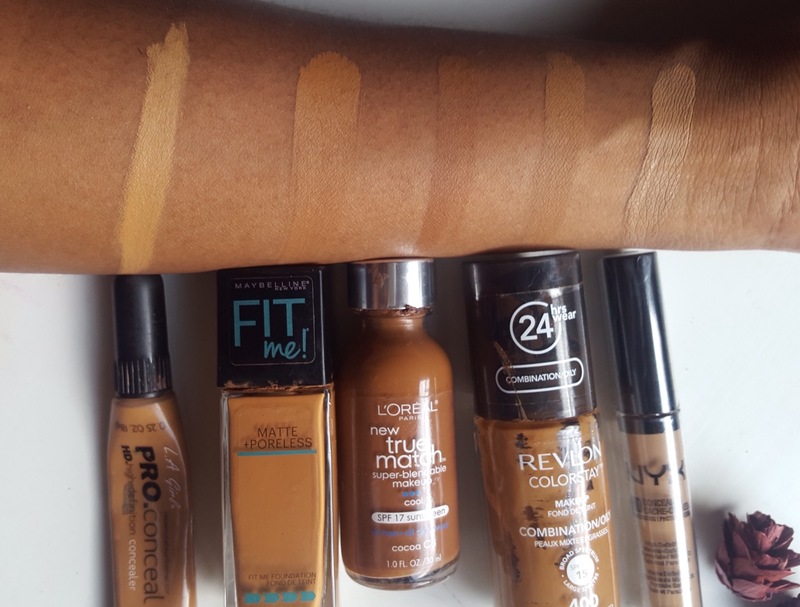 Verdict: It is an affordable, easy-to-blend concealer which comes in 23 shades and has medium coverage which is buildable. What else could a girl want? I score it a 10 out of 10. 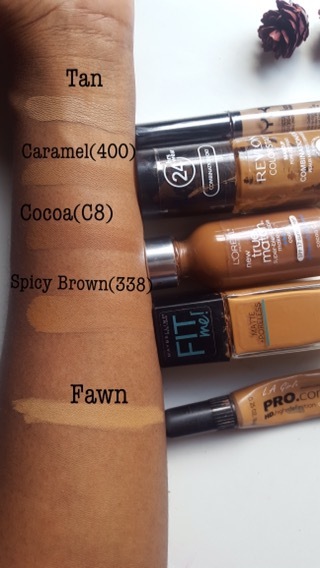 What are your favourite concealers? Leave your comments, I’d love to hear from you guys! Very nice review! It looks like a great product. And I definitely agree, matte concealers get into my fine lines and crease no matter what I do!